The GIF version of the Postcode Map is a High Resolution Image, suitable for viewing on screen and digital devices or for use within GIS Systems. This South West Scottish Borders Sector GIF shows Postcode Sector boundaries (DG1 1, DG1 2 etc) on a clear colour background and is perfect for determining Postcode boundaries for sales, planning mailshots or as a regional reference guide. 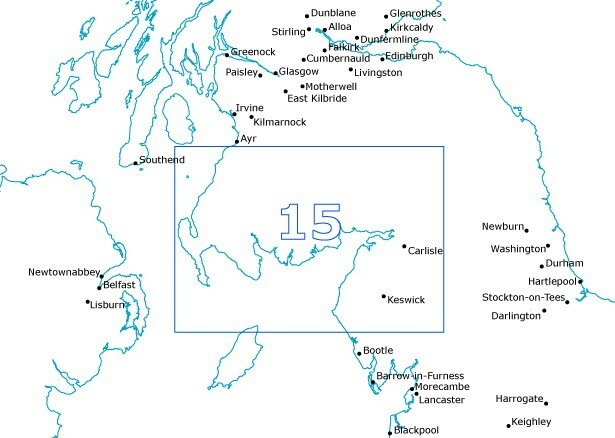 This GIF covers an area from Ayr in the North to Windermere in the South and from the West Coast to Penrith in the East.